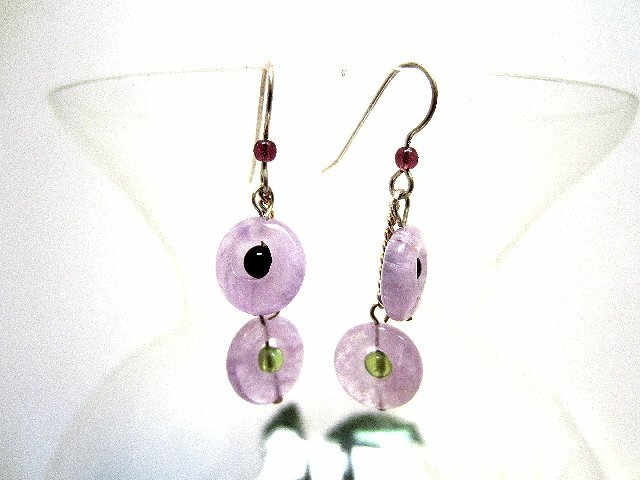 I simply fell in love with these light amethyst 'go-go' cut beads: doughnut shapes with off-center holes. 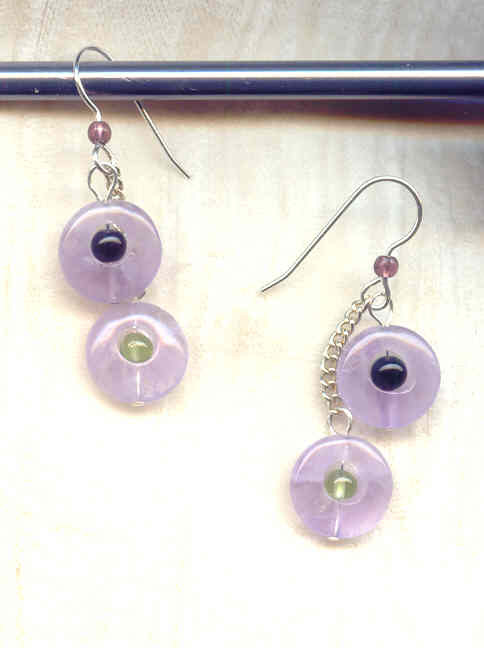 Each of these earrings features go-go beads, one with black onyx, the other with a peridot bead filling its center. 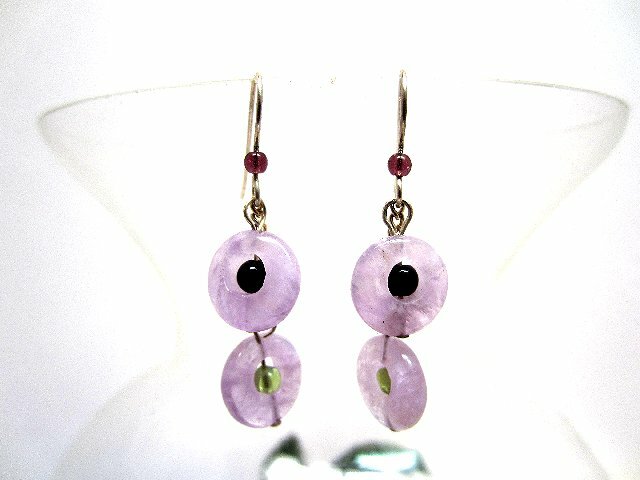 The go-gos are suspended separately, one below the other, from a sterling silver French hook on which is threaded a 3mm amethyst glass bead. 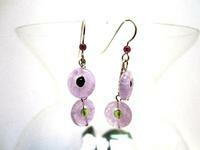 The longer dangle ends a dainty 1-7/8" below the top of the French hook. 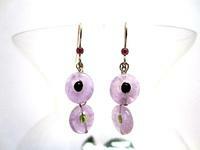 They're another pair of innovative earrings from SPARKLE PLENTY.